Our Funarena! : Mumbai Winter: Blowing Hot and Cold! 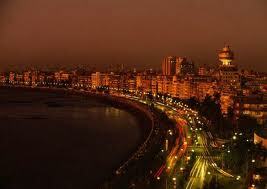 Mumbai winter and chills that started in late December, 2011 is still continuing with unpredictable and extreme variations past February, 2012 now. We first shared the city’s chills with you on January 10 when the minimum temperatures threatened to plummet below 10 degree Celsius which indeed happened in parts of Maharashtra. On the New Year Day the minimum rose to over 19. The fluctuations continued throughout January and February. The minimum temperature used to dip and rise with at least 4-5 degree variations. The difference between maximum and minimum has been in extremes going over even 20 degree mark which makes the human body unable to bear it naturally. On February 9, 2012 the minimum temperature dipped below 10 and it was 8.8 degree Celsius—the coldest ever February day in the city’s history. And then, just about 12 days after the maximum temperature rose to 39.1—the hottest February day in 44 years. The difference has to be noted on that day—the minimum being recorded at 18 giving a 21 degree variation! And just when we were getting ready to welcome an early and unusually hot summer the minimum plummeted again to around 13! We are still enjoying chills and sweat in good measure through first week of March. At the moment the maximum is between 28-30 and the minimum 14-18. Experts opine that though global warming contributes to rising temperatures it can also cause extreme cold conditions or extreme variations in both. Indian weather specialists say that the northerly cool winds caused by Western Disturbances are prolonging the spell of winter or coolness. La Nina that normally favors Indian Monsoon in contrast to El Nino has been cited as another possible reason because it can contribute to western disturbances. Severe cold conditions in Europe are also being taken note of. And, global warming is the basic player in all these complex interactions. In between chills we shiver at the thought of the highs that may torment us during summer starting April. Maybe the diehards who never accept Mumbai winter are having the last laugh. Though in light of the rampant sore throats all around, they can at best only croak it out! But hark! The issues involved here are not at all laughable.